Mount Sakurajima erupted in a fiery spectacle early on Nov. 14, belching out a massive column of smoke rising more than 4,000 meters in the air. 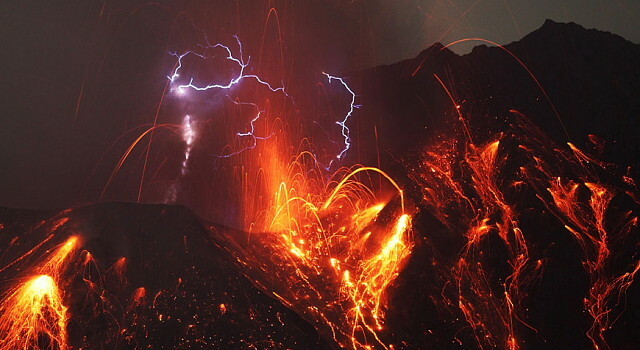 The eruption occurred at around 12:45 a.m. at the mountain's Minamidake summit vent. This is the first time that the active volcano in southern Kyushu has spewed smoke of 4,000 meters or higher since an eruption on July 16. It marked a third such eruption this year. The Japan Meteorological Agency continues to keep Sakurajima on an Alert Level 3, which effectively closes off the mountain. The alert has been maintained at that level since February.